Almost all military observers believed that the more experienced Austrian army would utterly destroy its Prussian opponents when the two German-speaking Great Powers clashed in the summer of 1866. But when the massive clouds of black powder smoke cleared, it was the Prussians who had scored an overwhelming victory. Those same experts now pointed to one factor: the Prussian use of the breechloading Dreyse “needle gun” as their standard service rifle. 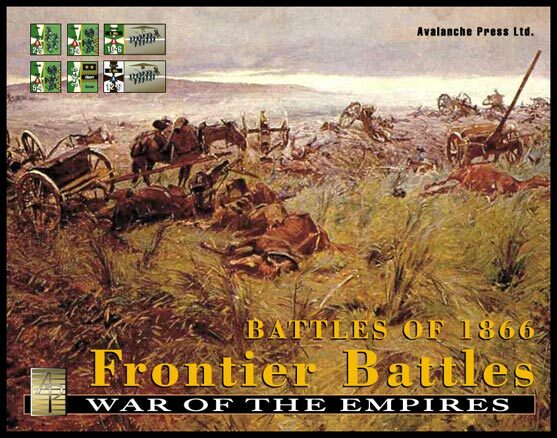 Our Battles of 1866: Frontier Battles game covers the openingbattles of this war. The Austrian player fields superior artillery and cavalry, while the Prussian depends on somewhat better leadership and solid organization, and better infantry firepower. But that edge isn’t solely due to this “wonder weapon,” which by the time of the Austro-Prussian War was already 40 years old. 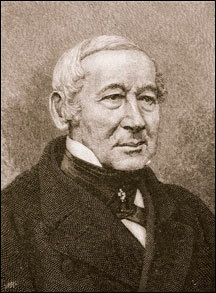 Johann Nikolaus Dreyse, a Prussian inventor, began experiments with breechloading firearms in 1824. Firearms designers had been after an efficient breechloading mechanism for some time — allowing the soldier to load from the breech end reduces exposure to enemy fire and greatly increases his own rate of fire. Various experimental breechloaders appeared during the Napoleonic Wars, including an Austrian piece that relied on compressed air instead of a gunpowder explosion, but all of these failed due to the problem of keeping the breech sealed against gas leaks. Dreyse partially solved this problem by creating the first bolt action, in which a handle is turned and pulled to open the breech. The soldier then inserted a cartridge made of stiff paper, containing a .61-caliber bullet and powder charge. He then pushed the handle back and turned it to lock the breech. When he pulled the trigger, a firing pin about half an inch long penetrated the cartridge and set off a percussion cap inside the cartridge, just below the bullet. This firing pin, or needle, gave the weapon its name. The 49-year-old inventor completed the first model in 1836. Then came years of test-firings and marketing, all of which failed miserably until in 1848 the King of Prussia decided to adopt the weapon. Prussian troops first used it the next year in street fighting agaist student radicals, and then against the Danes in the First Schleswig War of 1849 and 1850. Most Prussian soldiers disliked their strange new weapon, but it had a number of advantages. It did not require the complicated “evolution of arms” to reload: A muzzle-loader must be loaded in a particular sequence that can become jumbled under fire. If a soldier overloads his muzzle-loader, it can explode in his face. The Dreyse could not be loaded twice (since the soldier could see the round already in place, and if he grew nervous enough to try to jam another one in anyway, it wouldn’t fit). The soldier could easily load and fire from a kneeling or even prone position, though Prussia’s conservative officer corps loathed the prone position as “unmanly” and it was forbidden to all but light infantry. And of course it could be fired 10 to 12 times per minute, against twice for a muzzle-loader. Dreyse’s bolt action, from an 1847 manual. Other armies studied the weapon, but were put off by its many flaws. 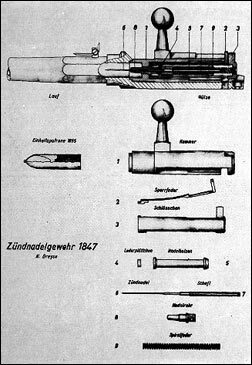 An Austrian commission led by Feldmarschall Leutnant Vincenz Baron Augustin tested 20 Dreyse needle guns alongside a number of muzzle-loaders in 1851 and found the design wanting. Augustin’s complaints included its short range, gas leakage, ammunition wastage, and flimsy construction. Augustin had a dog in the fight, having designed the rifled musket the Austrian army adopted just before the 1848 war. But although the Austrian general has been ridiculed in the century and a half since his report, all of these were valid criticisms. The Dreyse’s range was only 250 to 300 meters, about half that of Augustin’s muzzle-loader and much less than the 1,000 meters for the Lorenz .57-calber Minié rifle the Austrians adopted in 1858. The Dreyse’s breech frequently leaked hot explosive gas when fired, which would burn or even blind the firer. Consequently, Prussian soldiers typically fired it from the hip if they wanted to keep their eyesight — doing nothing for its already poor accuracy. As for ammunition wastage, Augustin’s commission found two problems. First, the Austrian officers believed a soldier who could reload so easily would be less careful taking aim. Second, in field testing they noted a tendency of soldiers to grab a handful of cartridges out of their ammunition pouch, place them on the ground nearby, and fire from a kneeling position. When ordered to move, they almost always left their pile of cartridges behind. Finally, the slender “needle” firing pin broke easily and was impossible to repair in the field. Yet for a failed weapon, the Dreyse managed to receive credit for defeating the highly respected Austrian army. Everything the Austrians wrote about the rifle’s shortcomings was true. But it was Austrian rather than Prussian doctrine that cancelled all these deficits. The Austrians attacked in massive storm columns, bringing their infantry into the Dreyse’s range and allowing the Prussians to stand and defend. Ammunition wastage thus became less of an issue, and the inability of even the best Prussian marksman to hit the broad side of a barn with the Dreyse did not matter, as the storm columns were much larger than a barn. Prussian advances could be marked by the damaged needle guns cast aside, but Austrian losses were so enormous that it did not matter that many Prussians ended the battles unarmed. The weapon that created Germany. Against other German states not using the suicidal Austrian tactical doctrine, the Prussians had much less success. The Bavarians, armed with Podewil rifled muzzle-loaders, fought the Prussians to a draw in several actions. The Royal Bavarian Army had more trouble convincing their own troops to advance without their daily beer ration (mandated by Bavarian law) than with the Prussians. The small army of Hesse-Kassel, the only other state to use the needle gun, fell apart due to poor leadership. The Hanoverians fought well with their Podewil muzzle-loaders but poor planning led them to march out of their mobilization sites without their ammunition reserves. After the war, the Prussian popular press celebrated the needle gun as the miracle weapon that won the war. Dreyse had been ennobled after the 1864 war with Denmark first showed his weapon’s promise, and died in 1867 aged 80 and a national hero. Austria adopted the Werndl breech-loader and began madly modifying Lorenz muzzle-loaders into shotgun-like breechloaders, in preparation for a war of revenge. Across the Rhine, the French studied the Dreyse’s flaws and quickly adopted the far superior chassepot breechloader. But that’s another story for a future game. In our Battles of 1866 games, Prussian infantry receives enormous firepower advantages against Austrian infantry or cavalry attacking through their frontal zones. They are less capable if they initiate assault combat — simulating the Austrian range advantage. The Prussian player will want to identify key terrain, rush his or her infantry onto it, and force the Austrians to attack them there. With their typically better leadership and superior organization, the Prussians have a good chance of doing so. The Austrian player will then have to use his or her superior artillery to set up attacks and try to gain the Prussians’ flank. Click here to order Battles of 1866: Frontier Battles!